Do addict, mentally ill labels help or hurt? The use of labels to identify clients keeps coming up. Does having a label, a name, for your problem help you find answers or does it stigmatize you? The recovery movement often uses labels, usually self-applied to define the nature of their issue. Saying you are an Alcoholic helps you to understand the problem and what you need to do to overcome it. In this case, if you are really an alcoholic you should not drink. In A.A. they don’t give out the labels. They present information and let people decide for themselves if the designation fits. This approach has a lot to recommend it. Some people feel that giving out labels can be a barrier to recovery. If you say you are an addict then, of course, you will use drugs, the use of the label could be interpreted as a reason to stay in your problem rather than move towards a solution. Personally, if I have a cough it makes a lot of difference to me whether I have an allergy or tuberculosis. I am frankly a lot suspicious of a doctor who wants me to take medication for my cough but does not want to tell me what is wrong with me for fear of labeling me. People are not defined by their disorders. We should not refer to them as “the schizophrenic” or the “depressive.” We know that there are times the person with schizophrenia or another psychosis may not be experiencing symptoms or the symptoms may be milder. This sometimes is referred to as periods of lucidity. People with depression can get better. Most people, in my experience, embrace these labels. They help define the challenge the person is facing. It is reassuring to know that you have treatable disorder rather than to think that you are crazy or that there is something so wrong with you and there is no hope. What most people find is that there are lots of other people who are struggling with the same illness. As a professional, I feel I owe it to a client to tell them what I think they are struggling with. Knowing the problem can suggest solutions. I don’t find it useful to argue with clients overdiagnosis. Whenever possible we start by working on the things the client thinks are problems for them. Help them find a job and the depression just may go away. Sometimes people put too much trust in a diagnosis. What if the person who gave you that one was wrong? Learn to use that information, their view of what you are struggling with, and go from there. Now if you have been given medication, I recommend you take it as prescribed. If it is not working or you are experiencing side effects, talk with the prescribing doctor before you make a sudden change and please do not take a med only on the days you think you need it, unless the doctor prescribed it to be used that way. Feel free to add other helpful things, like therapy, meditation and a strong support system to your medication. Medication can only take you so far. Working on your recovery includes learning and practicing the skills you will need to maintain that recovery. So as far as diagnosis or labels go, if they help your recovery, use them. If your label is getting in the way of your recovery don’t worry about what it is called and focus on your recovery skills. My view – for most people labeling the problem is helpful, labeling yourself is not. You are, after all, much more than any one problem you may be struggling with. 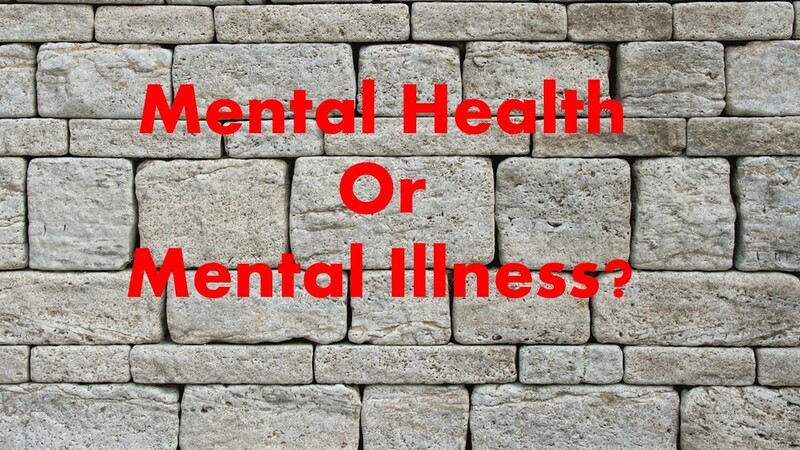 Is it a medical problem or a mental health problem? This entry was posted in Mental Health and tagged co-occurring disorders, David Miller LMFT LPCC, Diagnosis, Labeling, Mental disorder, Mental Health, mental health diagnosis by David Joel Miller. Bookmark the permalink. Great post, David! I agree that diagnosis can both help and hinder. I think so long as one doesn’t over-identify with a label and fall into victim mode, having a name for your experience can provide a great sense of not being alone. I have nominated you for Blog of the Year 2012! Please check my recent post for information.